Achieving successful change inevitably means overcoming obstacles. Oz tells his story first hand of how he faced adversity and overcame. His success story is living inspiration for others. The Recon-Marine suffered from paralysis after a traumatic motorcycle accident and has since proactively competed in the adaptive sports of handcycling and Triathlon, working his way to the top in both sports in relative short time. Today Oz is a triple world champion in the sport of handcycling, bringing back a gold and a bronze medal for the US Team, in the 2008 Beijing games. He recently won two gold medals in the 2011 World Championships in Denmark, securing his spot in the 2012 Paralympic Games in London. He was born in 1975 and raised in Los Angeles, California. By the time he graduated high school he was involved with drugs, gangs and street life. 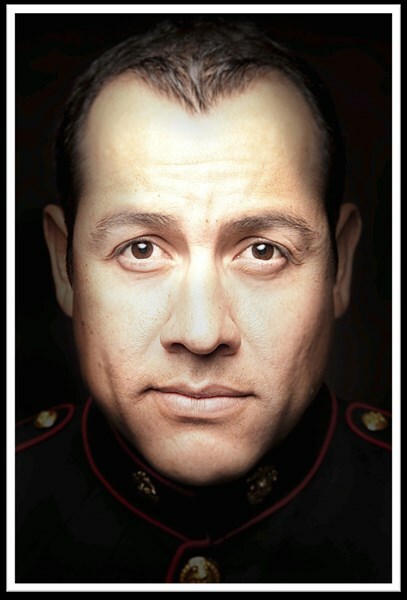 In 1996, Oz turned his life around following his recruitment into the Marine Corps. In the Marine Corps, Oz found himself in his natural element and quickly excelled through the ranks. Soon after graduation from boot camp, Oz discovered and grew interest in joining the Marine Corps Special Operations forces – The RECON Marine. After passing the initial screening and lengthy selection process, he spent the rest of his career in specialized training such as scout sniper, combatant divers course, parachuting, and varying other types of specialized training. He visited over fourteen different countries and was twice deployed to the Middle East and other hostile regions. After nearly six years with the Marines, Oz decided to transfer to the Navy to operate as a Navy Seal. In July 2001, during the time of his transfer between branches, Oz's life changed forever when he was involved in a hit-and-run motorcycle accident, which resulted in a spinal cord injury (SCI) and the inevitable paralysis and neurological complications associated with SCI. After the accident, the biggest fear Oz faced was how he would define himself given his new physical parameters. He worked on developing both a renewed sense of identity and a transformed perception on life. "I managed to pull out of my post-injury depression. I took a proactive approach to life and once again took the bull by the horns," he said. Oz devoted himself to his educational studies and he graduated from SDSU with a degree in business administration and a minor in public communications in 2006. Since the accident, Oz has proactively competed in the adaptive sports of handcycling and Triathlon. Oz worked his way to the top in both sports in relative short time. Today Oz is a triple world champion in the sport of handcycling under the Paralympic umbrella. As he prepared for the 2008 Paralympic Games in Beijing, China, Sanchez fully intended to come back with a medal around his neck. Sanchez did not leave disappointed, as he won two medals: one gold and one silver for the U.S. Team. At the 2009 UCI Para-cycling World Championships, Sanchez took home the gold medal in the individual time trial. In February of 2009, Oz Sanchez was recognized as the "Challenged Athlete of the Year" by the San Diego Hall of Champions. At the 2010 World Championships, he improved from the previous year, and took home two gold medals in the individual time trial as well as the individual road race. He recently won two gold medals in the 2011 World Championships in Denmark, securing his spot in the 2012 Paralympic Games in London. Oscar "Oz" Sanchez is a man who does not know the meaning of quitting. Despite being severely injured, Oz is a devoted athlete who trains in the gym, in the pool and on a handcycle daily. "Everybody can achieve their dreams." A Speaker is Born: Oz Sanchez initially began his public speaking career for various military engagements and numerous non-profit organizations such as the Wounded Warrior Project. His motivational speaking career flourished after he agreed to be an official spokesperson for the Challenged Athlete's Foundation: Operation Rebound program,. He provides inspirational keynotes to numerous organizations nationally as well as internationally. For the past several years, Oz has been one of the official spokesperson/ambassador athletes for both the U.S. Paralympics Committee and The Hartford Financial Services Group, and flew all of the continental U.S. for speaking engagements. "I feel my accomplishments would be best utilized in this arena and also have a personal desire to support such a cause," Oz said. Oz was a fantastic presenter and had the full attention of 300 attendees for a full hour. He was absolutely fantastic and provide a motivational and inspiring experience for all of our guests. I would highly recommend him to any group. Oz was engaging, funny, and was able to deliver his message in a meaningful and powerful way. would definitely recommend him for corporate events. Please note Oz Sanchez will also travel to Poway, Rancho Santa Fe, Escondido, Del Mar, San Marcos, Santee, Solana Beach, Cardiff By The Sea, La Jolla, Encinitas, El Cajon, Lakeside, Ramona, La Mesa, Carlsbad, Vista, Lemon Grove, Spring Valley, Oceanside, Valley Center, Alpine, Coronado, Bonsall, Lincoln Acres, National City, Bonita, San Luis Rey, Chula Vista, Pauma Valley, Jamul.